An attractive Italian variety, also called Basano. Particularly suitable for early cultivation. 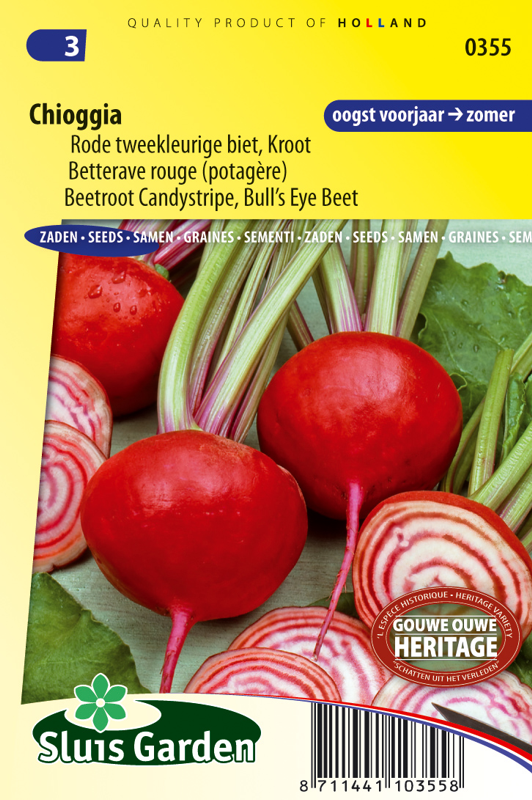 A round, smooth and light red beet, of which the beautiful flesh (white with pink rings) has a sweet and mild flavour. A fine product both raw and al dente. 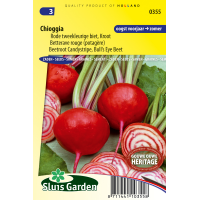 Sow in a sunny spot in well fertilized soil. Once the plants are 3 cm tall thin out to approx. 10 cm. Chioggia keeps reasonably well.